John grew up in Pottstown, PA and despite already being heavily into cars it was while the Navy in the late 50's stationed in San Diego that the Southern California car culture laid a lasting impression. 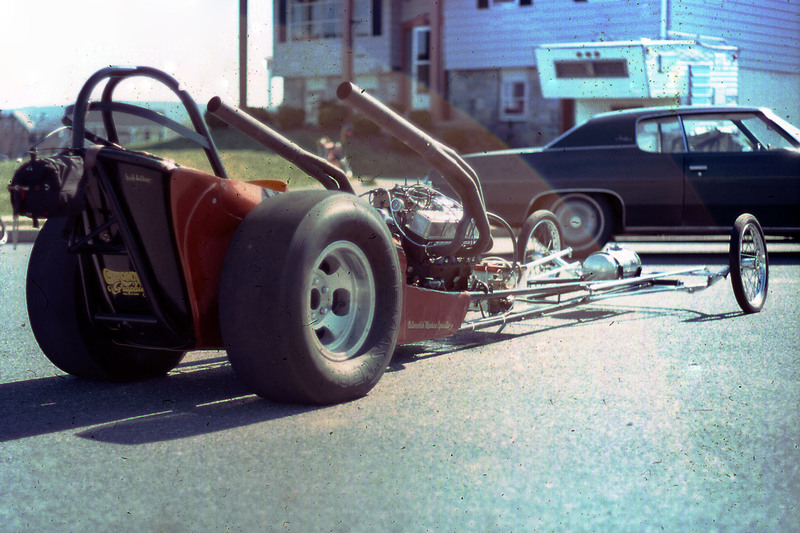 Once back home on the East Coast the drag racing scene was getting rolling. Maple Grove Drag-O-Way in nearby Reading had just opened so he and friends went to an event and it started a life-long passion of drag racing. 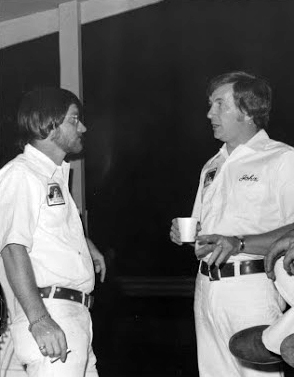 The photos on this website are from that time through the late 70's at Maple Grove as well as a few from the 1976 Sportsnationals at Beech Bend Raceway in Bowling Green, KY.
Once the late 60's rolled around the time at the track turned into part-time employment on the weekends in addition to his full-time career as an Electronics Technician for AT&T. John handled various jobs around the track such as starting line and pit control, track timing to announcing. From lining up fuelers on the old fire up road and hitting the switch on the tree to using his electronics background to assist with the timing system. On August 3rd 2013 John was inducted into Maple Grove Raceway's Walk of Fame and received the award at a ceremony during the Geezers Reunion. John and Maple Grove starter Mel Boyd talking in the early 70s. Jim Faetche Photo. John started his racing career with a brand new 1970 Dodge Challenger. Choosing a 440 cubic inch powerplant, the Magnum, with the six pack, 4-speed trans in Plum Crazy Purple he was ready to hit the track. His unique look paired the steel wheels with center hubcaps and bias tires - this sleeper ran 14's right off the showroom floor. 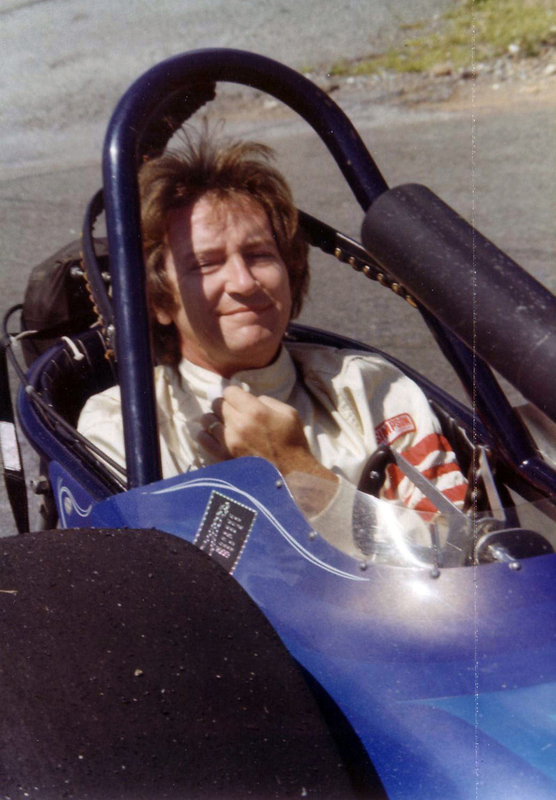 Throughout the 70's and early 80's, John and his family ran two front-engine dragsters, Quarter Pounder I and Quarter Pounder II for many years at Maple Grove competing in the sportsman classes. This was a fun weekend of family time at the track and influenced John's children deeply. Racing continued through the mid 80's until an on-track accident damaged the dragster beyond repair and John decided to hang up his chute. John returned to racing in the 21st century with his son Kevin. The whole family is behind the racing once again including John's wife Anita and daughter Lisa and her family. Starting with a '67 Camaro Large Orange, to a injected nostalgia front engine dragster Quarter Pounder III, injected nostalgia funny car Glory Daze and the new Quarter Pounder blown nostalgia funny car coming out in 2014. 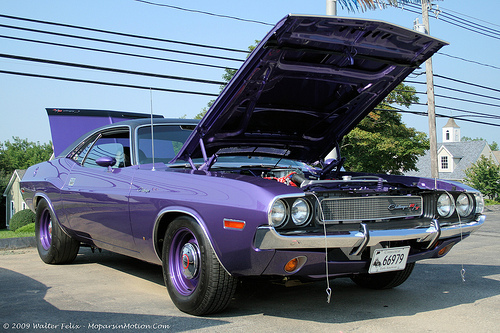 John started his racing career with his brand new 1970 Dodge Challenger R/T similar to the one pictured above. 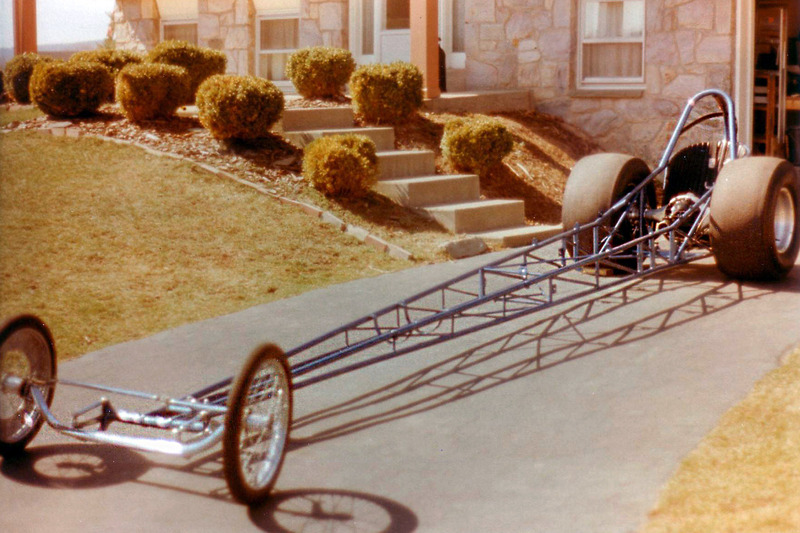 Throughout the 70's and early 80's, John and his family ran two front-engine dragsters. This was a 150" chassis purchased from local racers. More potos here. 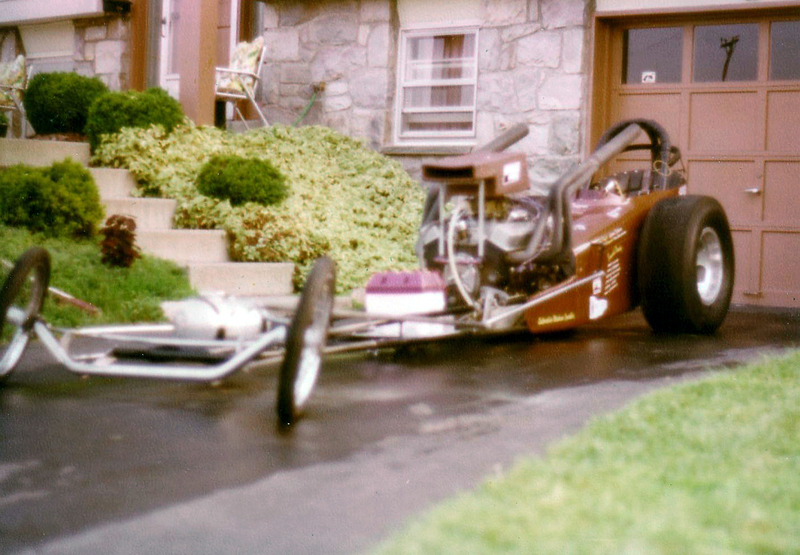 The sceond dragster was an ex-top fuel dragster once raced by Philadelphian Charlie Greer and later years purchased from friend Skip Bechtel. More potos here. Back to the track. Racing again in the 21st century with a father-son project a first generation funny car restored and raced. The alcohol-injected, Logghe-style wide chassied funny car launches wheels up every pass. For more informaton see: www.theglorydaze.com. John's retired and enjoying his time with his wife Anita. 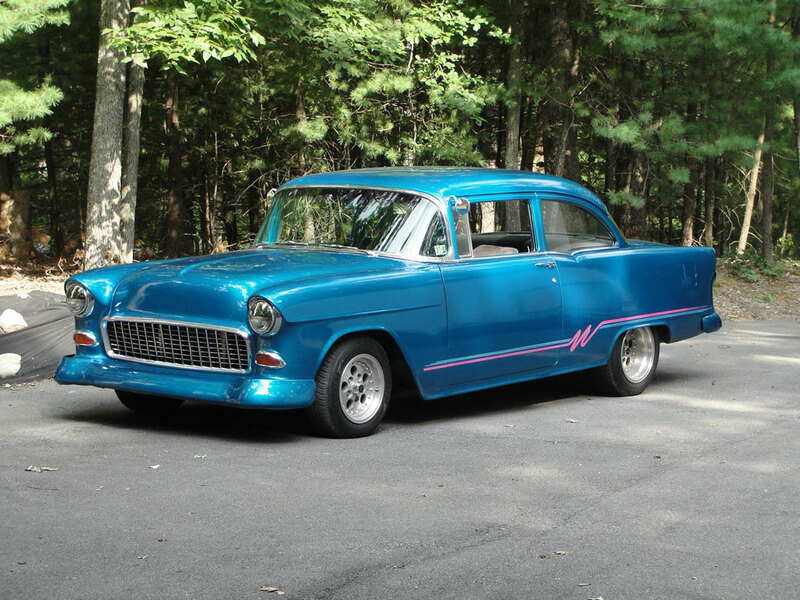 His newest hot rod is a thank you gift from his kids and is the latest toy in his garage. John being interviewed by NHRA's Bob Frey during the 2013 Walk of Fame Induction Ceremony at Maple Grove Raceway. 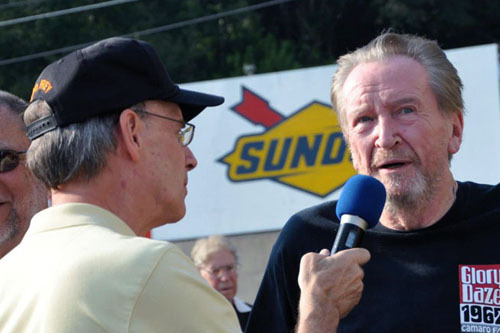 John being interviewed by NHRA's Bob Frey during the 2013 Walk of Fame Induction Ceremony at Maple Grove Raceway. More potos here.